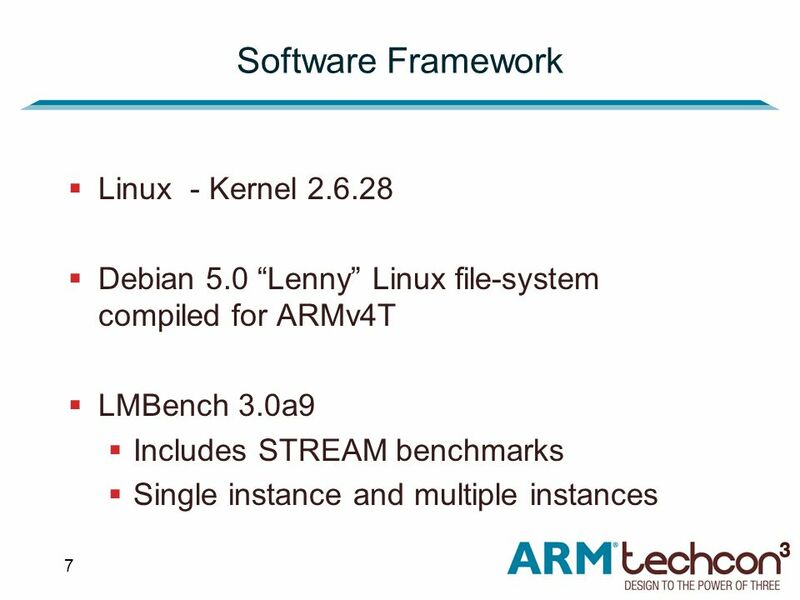 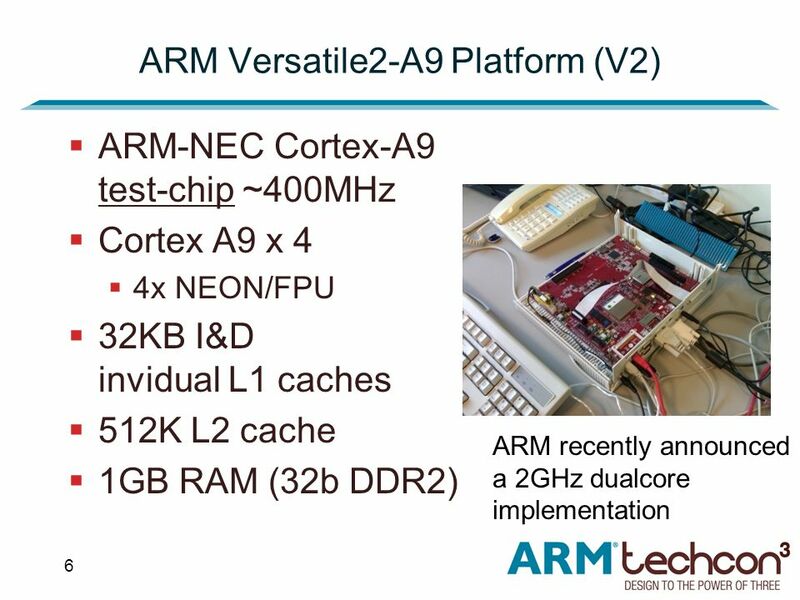 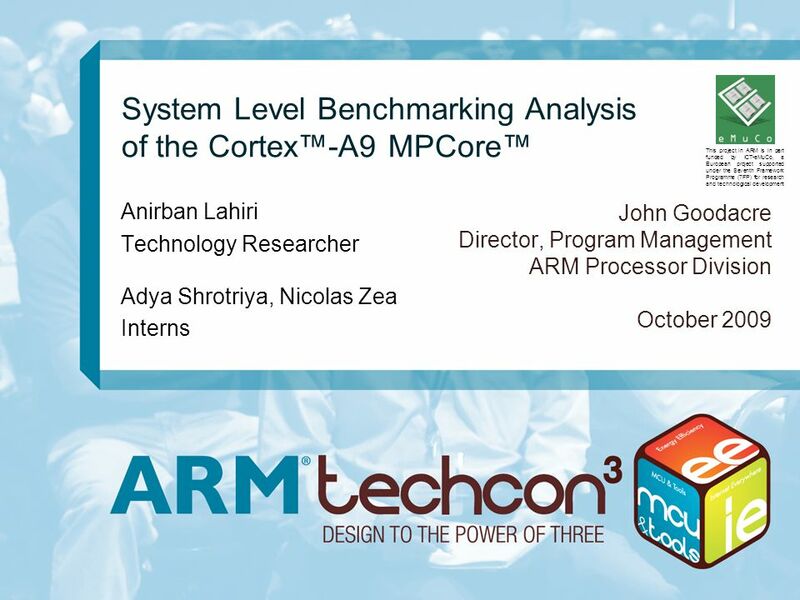 System Level Benchmarking Analysis of the Cortex™-A9 MPCore™ John Goodacre Director, Program Management ARM Processor Division October 2009 Anirban Lahiri. 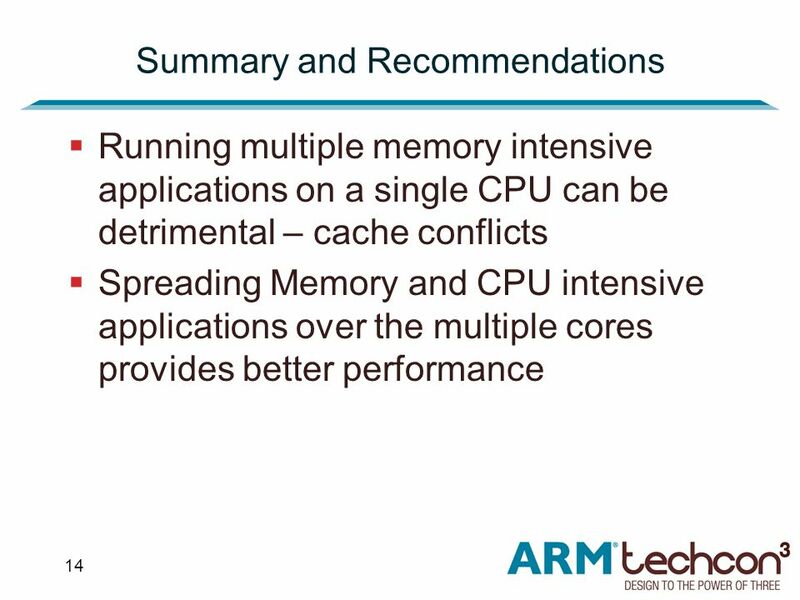 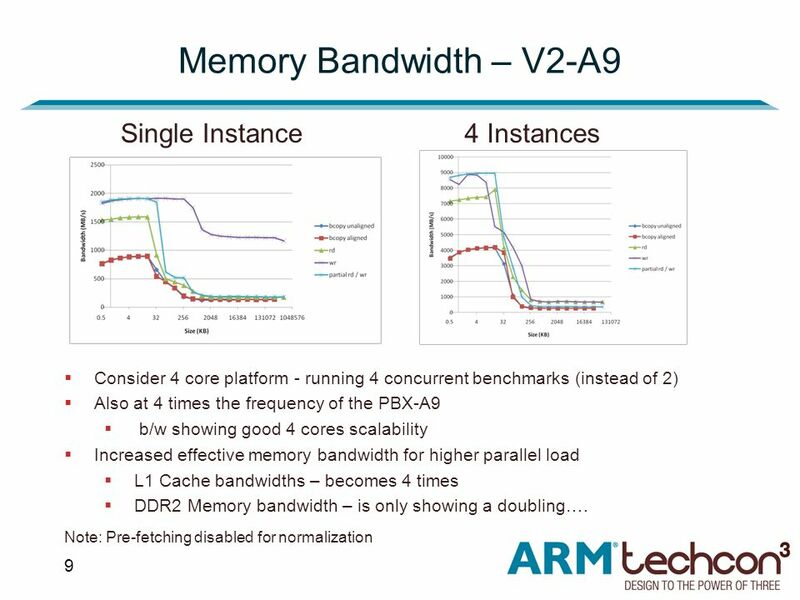 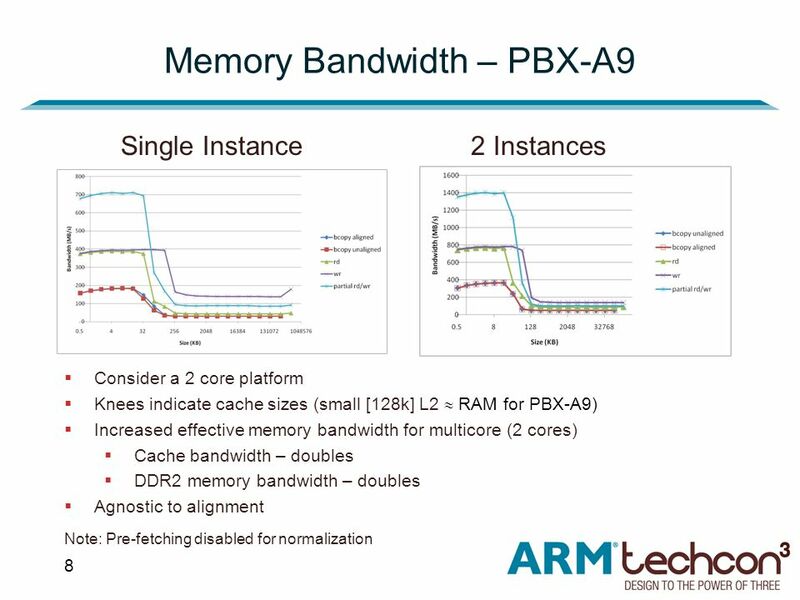 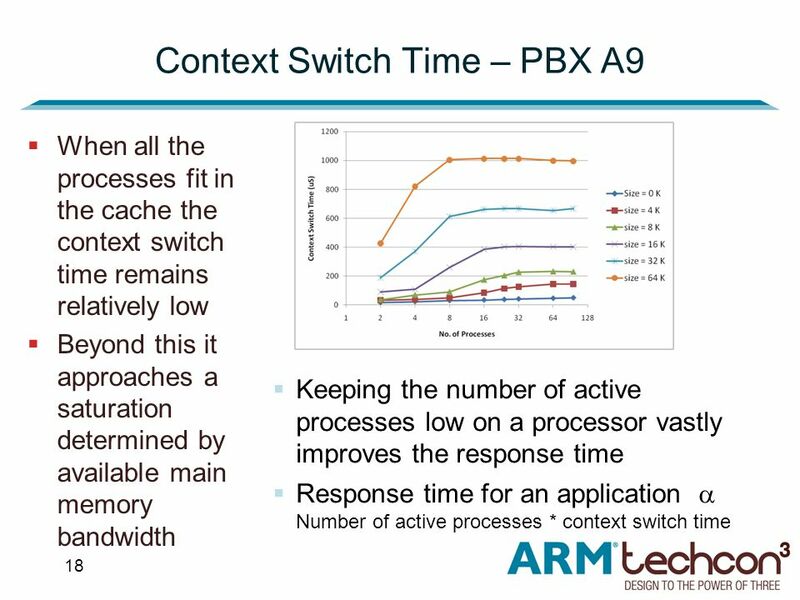 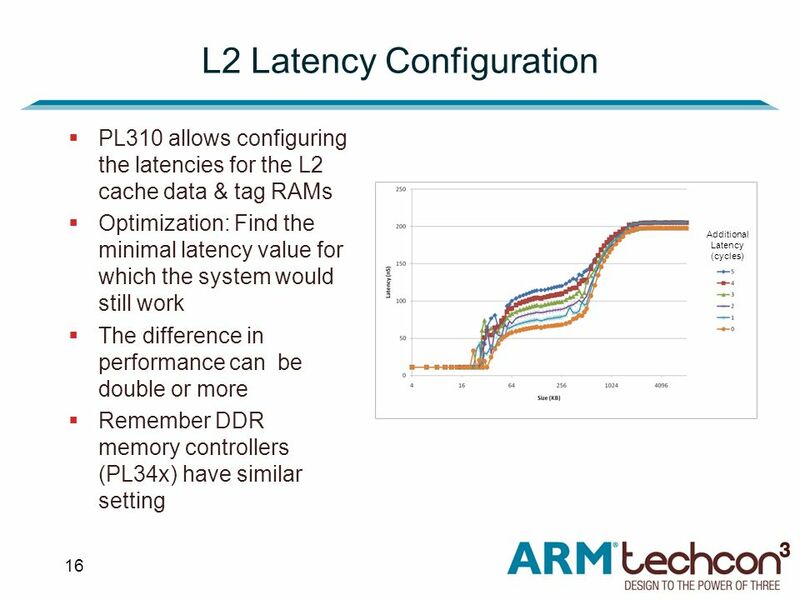 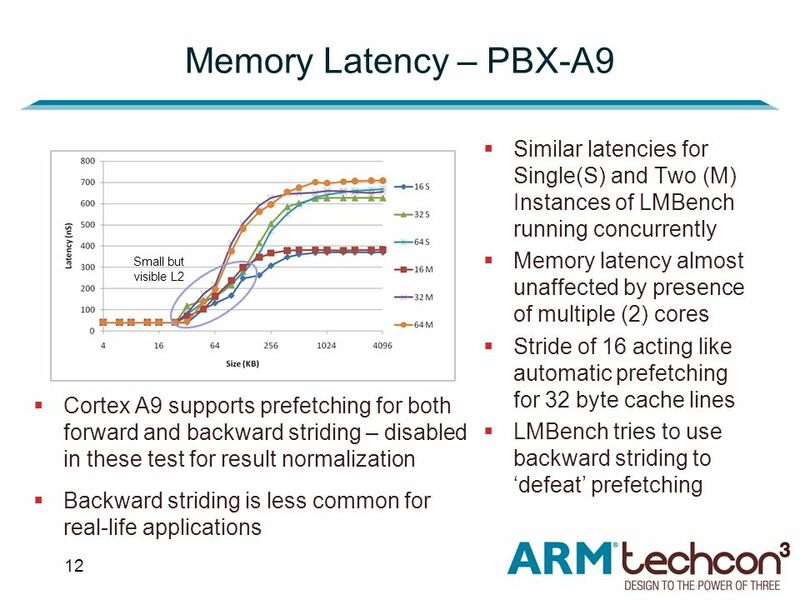 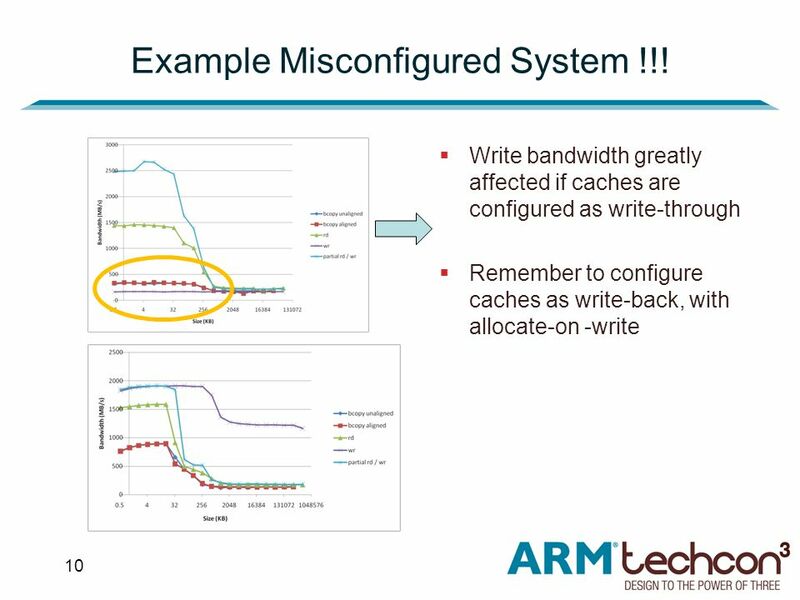 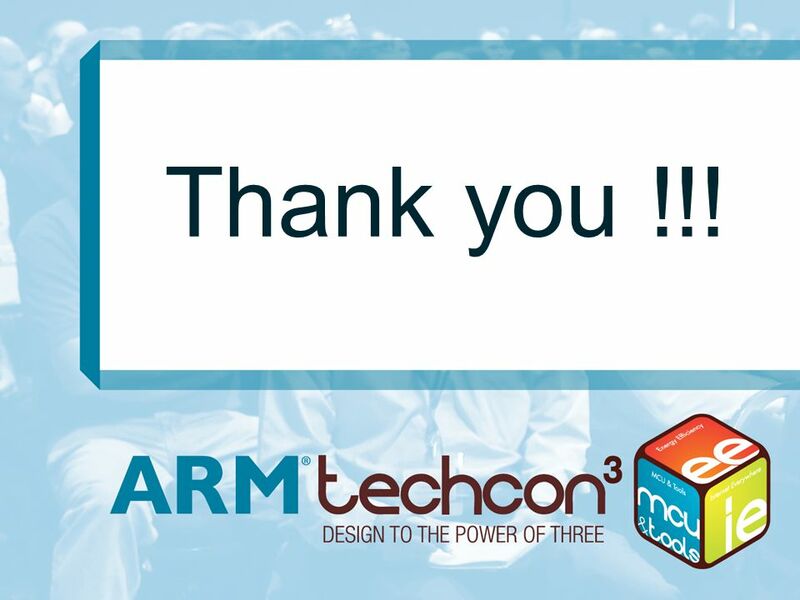 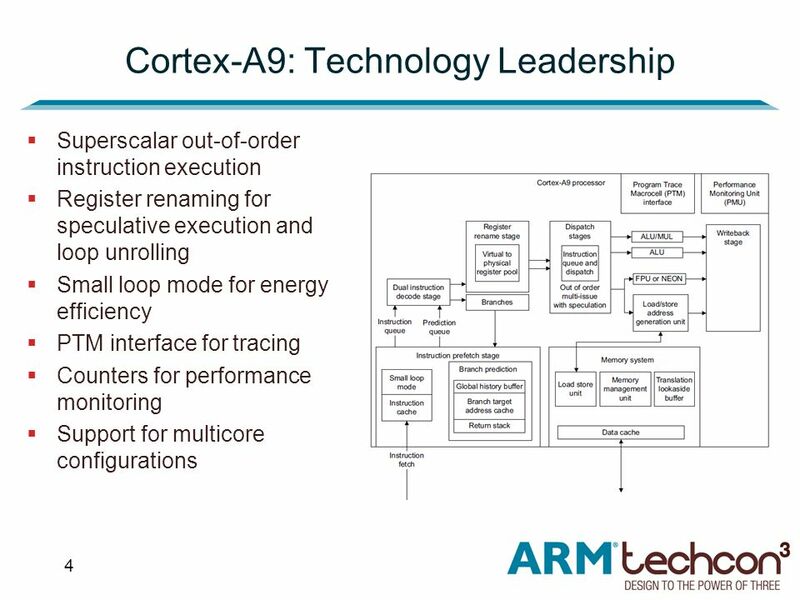 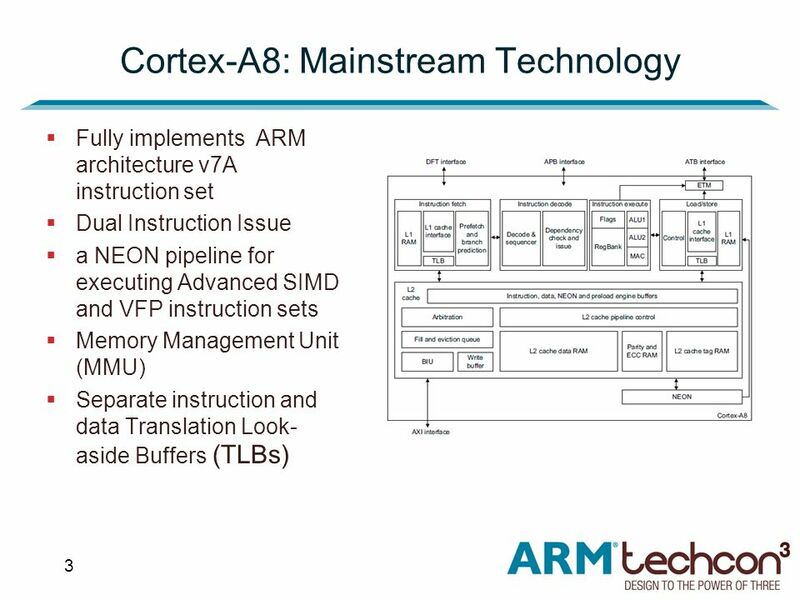 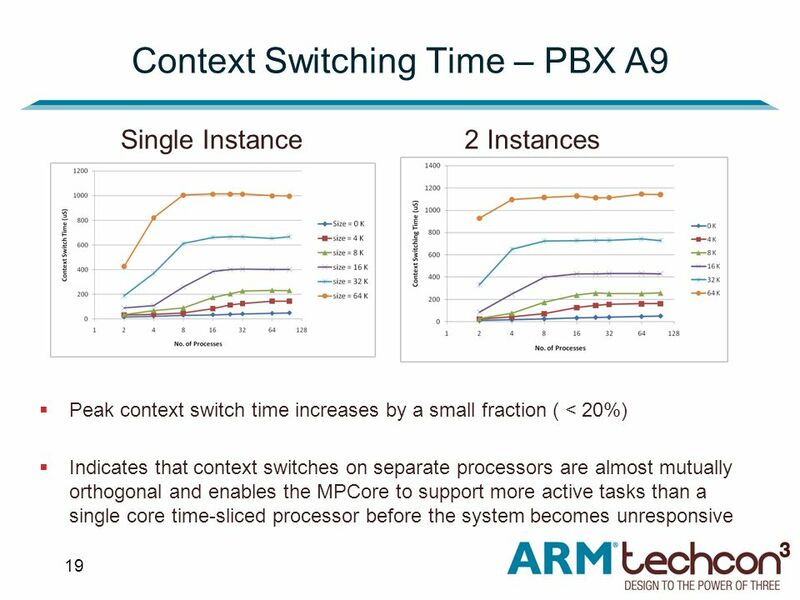 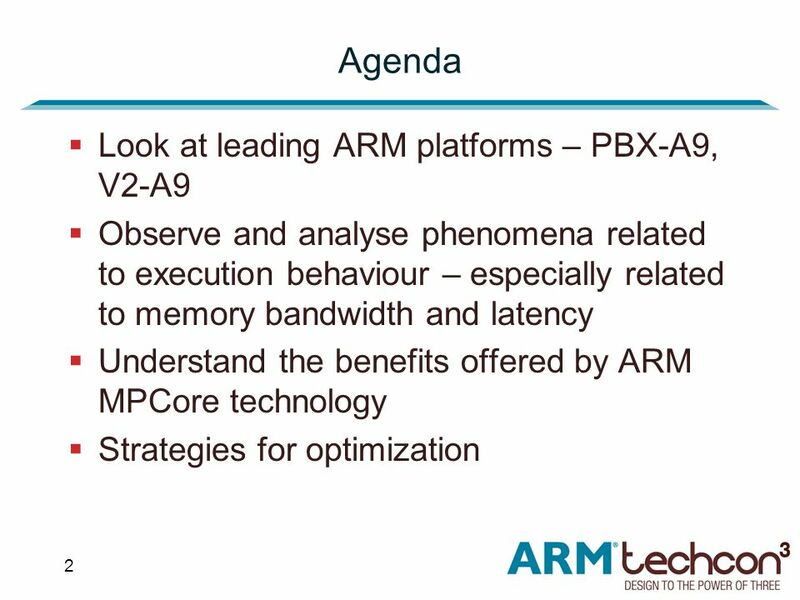 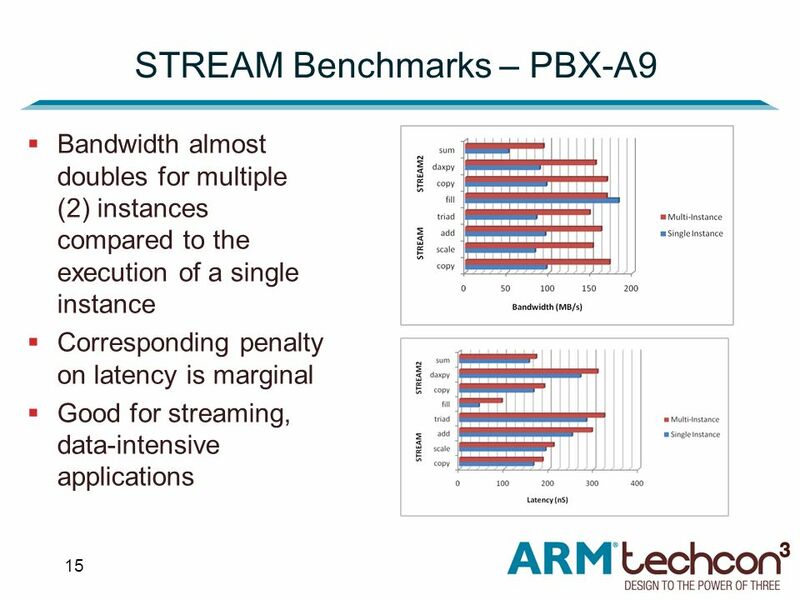 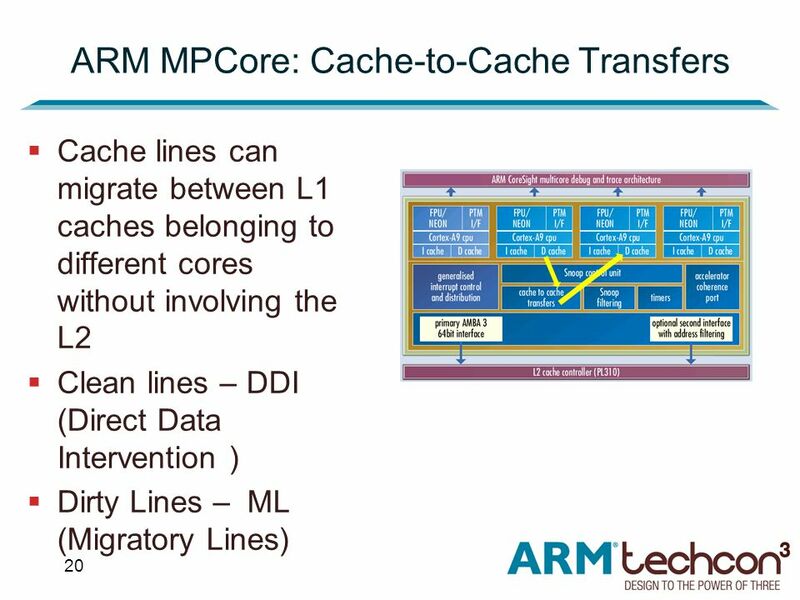 Download ppt "System Level Benchmarking Analysis of the Cortex™-A9 MPCore™ John Goodacre Director, Program Management ARM Processor Division October 2009 Anirban Lahiri." 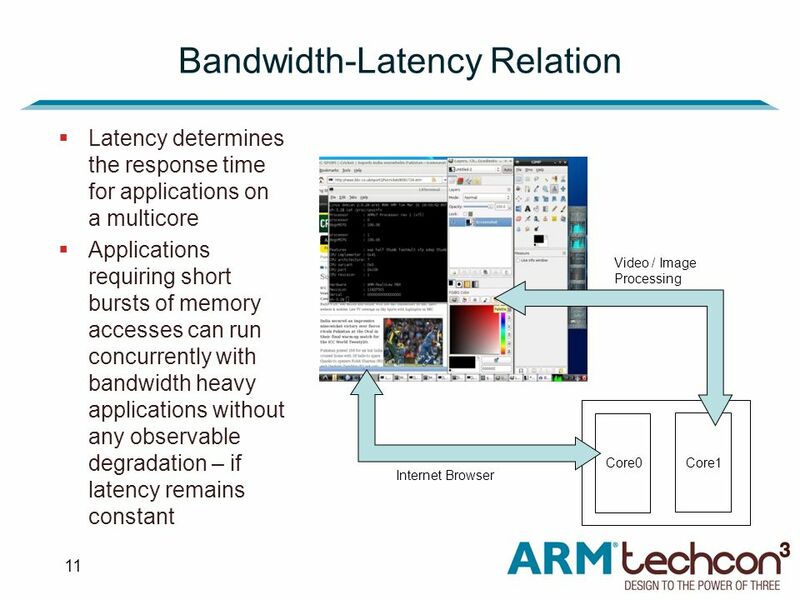 3D Graphics Content Over OCP Martti Venell Sr. Verification Engineer Bitboys. 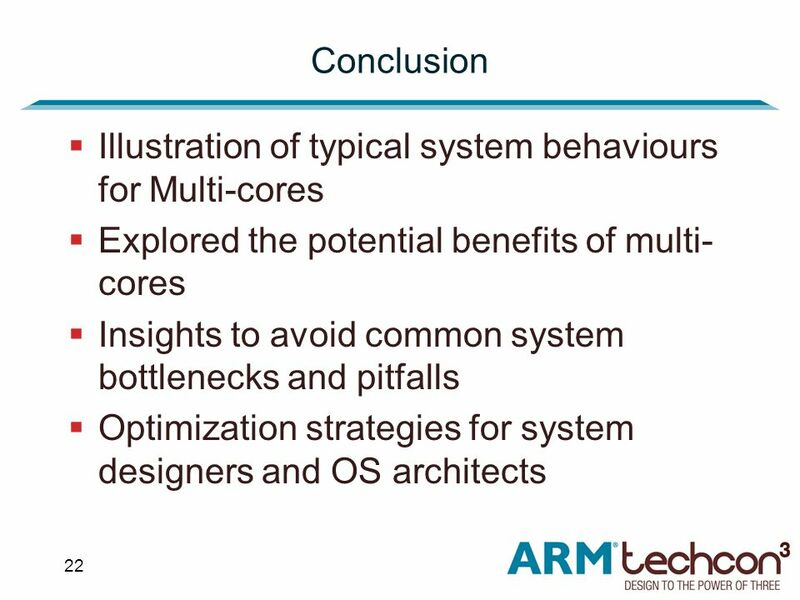 Office of Science U.S. Department of Energy Bassi/Power5 Architecture John Shalf NERSC Users Group Meeting Princeton Plasma Physics Laboratory June 2005. 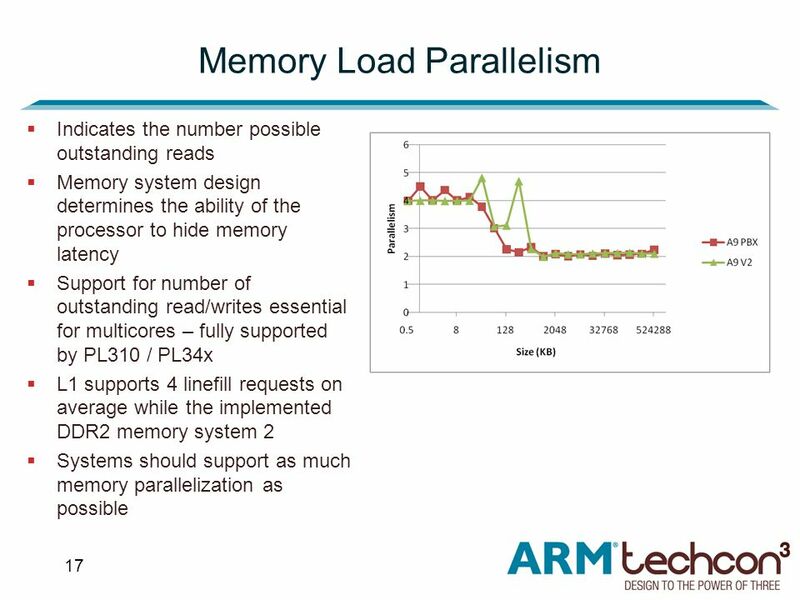 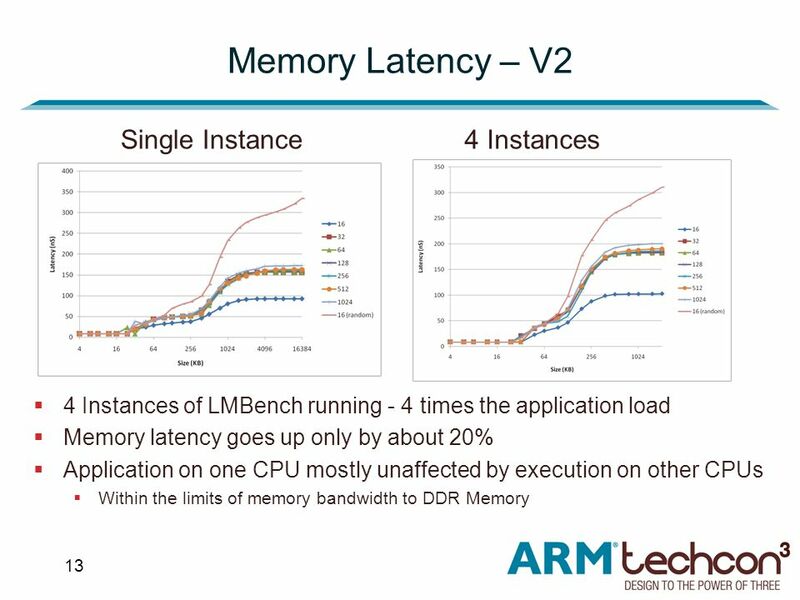 1 Memory Performance and Scalability of Intel’s and AMD’s Dual-Core Processors: A Case Study Lu Peng 1, Jih-Kwon Peir 2, Tribuvan K. Prakash 1, Yen-Kuang. 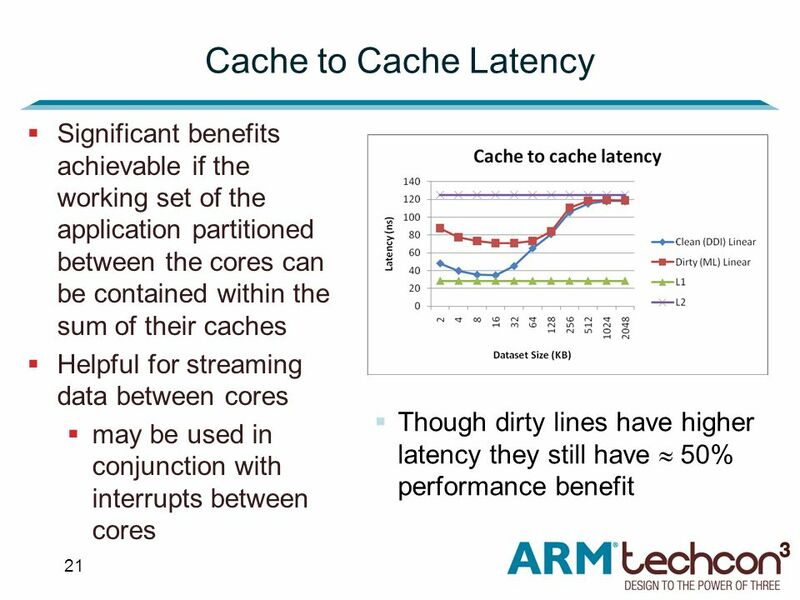 1 Improving Direct-Mapped Cache Performance by the Addition of a Small Fully-Associative Cache and Prefetch Buffers By Sreemukha Kandlakunta Phani Shashank. 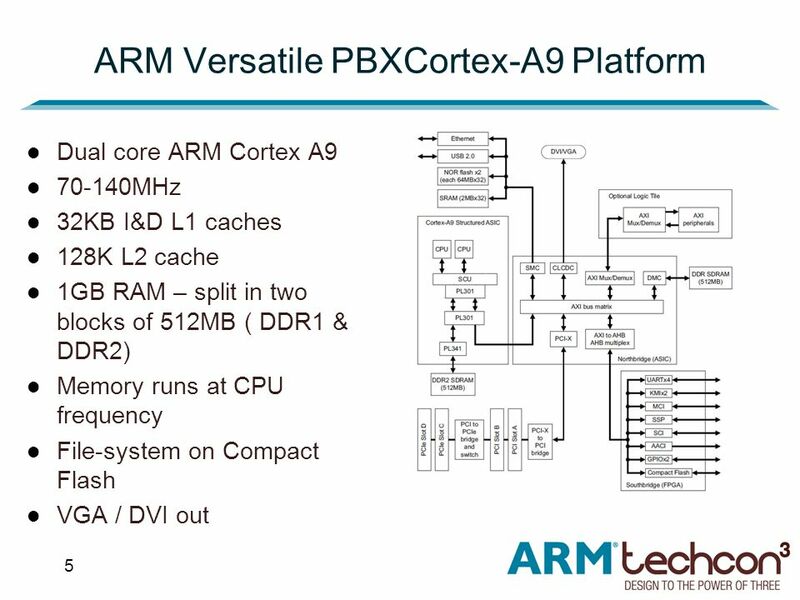 1 Microprocessor-based Systems Course 4 - Microprocessors.